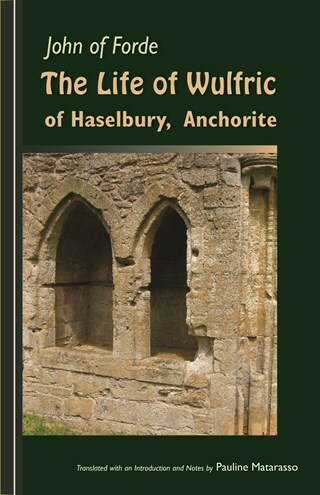 John of Forde’s Life of Wulfric of Haselbury—priest, healer, seer, mystic, who lived in a cell abutting a village church from 1125 until his death in 1154—is a classic of its kind. It portrays the daily life of the recluse, his austerities, the hours of prayer, his familiar companionship with his God, as well as his place in the community, a network of relationships stretching country-wide and friendships maintained over many years with both women and men. John, prior and later abbot of Forde, is the devoted guide opening up the treasures of his Wulfric to any who care to listen. The work, too little read or studied for want of a translation, is now made available not only to the medievalist but to anyone with an interest in the spiritual life. Pauline Matarasso is a scholar, translator, and poet, now living in Oxford. Her writings include: The Quest of the Holy Grail; The Redemption of Chivalry: A Study of the "Queste del Saint Graal"; The Cistercian World: Monastic Writings of the Twelfth Century; "John of Forde as Portrait Painter," A Gathering of Friends; Bernard of Clairvaux: On Baptism and The Office of Bishops; Queen’s Mate: Three Women of Power in France on the Eve of the Renaissance.